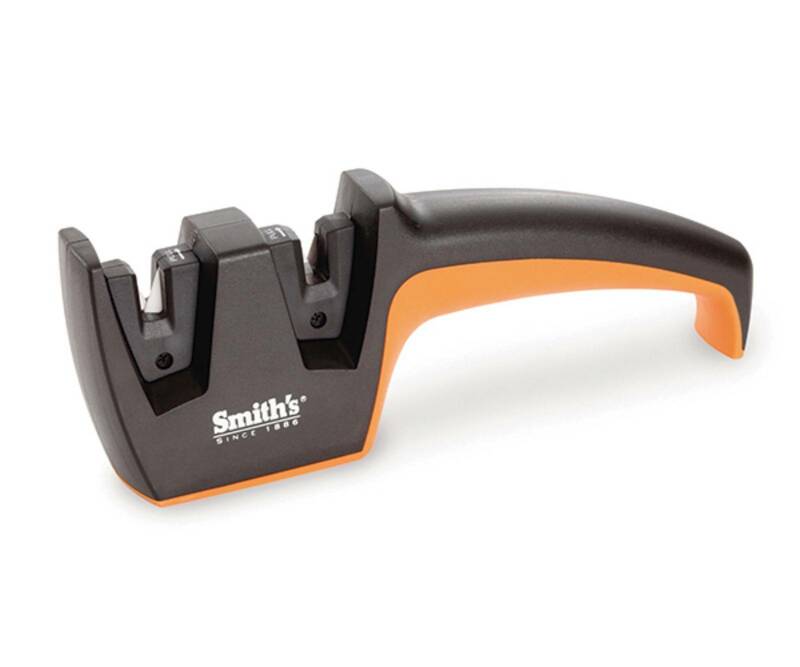 The Edge Pro Pull-Thru Knife sharpener delivers a level of sharpening performance unmatched by standard edge care products. 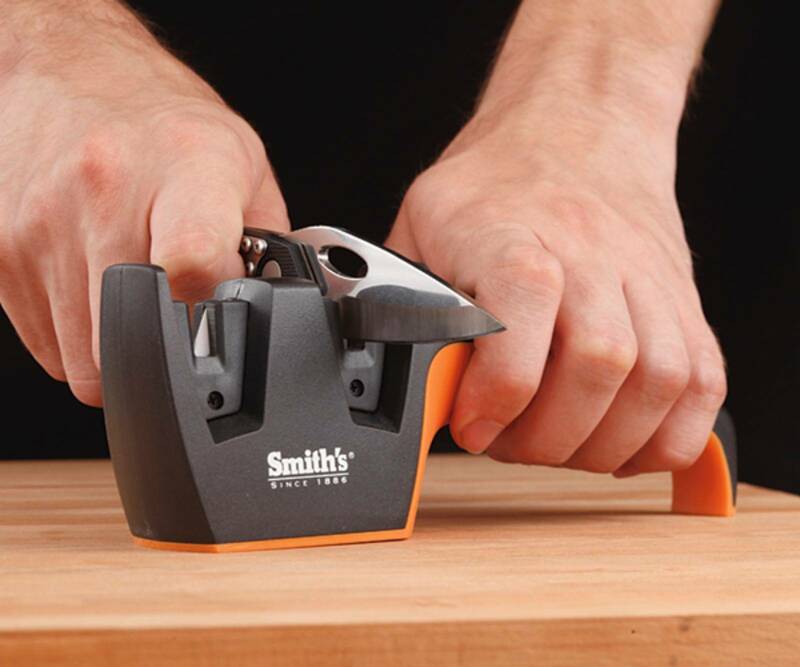 This sharpener offers two stages of sharpening for all types of knives, everything from everyday pocket knives to the finest customer sport knives. The precision ground carbides remove metal in a smoother, more consistent fashion when setting the edge on very dull straight edge blades, and the specially shaped ceramic stones can be used to lightly hone either STRAIGHT or SERRATED edge blades. It has an ergonomically designed soft grip handle and non-slip rubber feet for comfort and safety.